Portland-area nurse practitioners (NPs) Laurel Hallock Koppelman, DNP, FNP-C, APRN and Diane Solomon, PhD, PMHNP-BC, CNM, have both been selected to receive national excellence awards from the American Association of Nurse Practitioners (AANP), the Nurse Practitioners of Oregon (NPO) announced today. 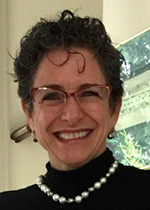 Laurel Hallock Koppelman is the recipient of the 2019 AANP Oregon State Award for Nurse Practitioner Excellence. Diane Solomon is the recipient of the 2019 AANP Oregon State Award for Nurse Practitioner Advocate Excellence. The AANP Oregon State Award for NP Excellence recognizes a nurse practitioner in each state who demonstrates excellence in practice. The AANP State Award for NP Advocate Excellence recognizes the individuals who have made a significant contribution toward increasing awareness and recognition of the NP role. Both recipients will be honored at an awards ceremony and reception held during the AANP 2019 National Conference, June 18—23, in Indianapolis, IN. Nurse practitioners, also known as NPs, are expert health care providers with advanced training who provide high-quality, cost-effective, patient-centered health care. Oregon’s NPs have led the nation in advanced practice and have provided independent health services to patients in multiple settings and specialties for 40 years while advocating to increase all Oregonians access to health care. Laurel Hallock Koppelman, DNP, FNP-C, APRN, is an Assistant Professor in the Oregon Health and Science University (OHSU) School of Family Medicine in Portland, Oregon. She practices as a Family Nurse Practitioner at Richmond Clinic, a federal qualified health clinic serving patients with primarily Medicaid and Medicare insurance. She recently received a 2019 National Institutes of Drug Abuse (NIDA) training grant to develop and carry out a plan designed to increase clinical knowledge of the management of substance use disorder and enhance collaboration between the emergency department and primary care providers in order to help fast-track entry to care. Diane Solomon, PhD, PMHNP-BC, CNM, owns a private psychiatric practice in Portland, where she helps clients heal and thrive, from trauma to joy. She also works as an independent practice and health policy consultant, promoting the NP role and NP solutions in primary care through systems-level change, organizational consulting, engagement, action, and collaboration. Diane is consistently selected by her peers as one of Portland’s ‘Top Nurses’ in Portland Monthly’s ‘Top Docs and Nurses’ annual rankings.